Imagine this – you visit your local quick service restaurant (QSR) drive-thru and instead of seeing your standard static signage within a protective kiosk, you see a digital menu board, complete with brighter images and easier to read menu choices. You no longer need to squint to see the menu, worry about the backlighting being too dark or the static signage not sitting straight within the kiosk. Sounds great, right? While most QSRs are not equipped with this technology yet, digital menu boards are predicted to boom in the next year and a half. Digital menu boards provide many benefits to QSRs, specifically as it comes to day-parting. Most QSRs serve breakfast, lunch, and dinner. With past static signage, all of the meal options for the day would either need to be squeezed onto one page of the menu board or the front side of the signage would display morning meal options and the back side would display afternoon and evening options. In the latter scenario, it would be required for the signage to be manually changed daily. Digital menu boards also help significantly with upselling. Through the use of a digital menu board, QSRs are able to add motion to high-ticket items. The Patient Protection and Affordable Care Act of 2010 further necessitates the need for digital menu boards. This legislation “requires restaurants and similar retail food establishments with 20 or more locations to list calorie content information for standard menu items on restaurant menus and menu boards, including drive-through menu boards.” Fitting this information along with a full QSR menu on static signage is cumbersome for many QSRs. In addition, it is difficult for customers to read the signs. While QSRs make up the bulk of applications that would utilize digital menu boards, there are a number of other uses for this technology. Retail drive-thrus such as pharmacies and banks can use digital menu boards to entertain and provide information to customers as they wait to be helped by a member of the staff. Similar to QSRs, car washes can use digital menu boards to provide customers as they wait to be helped by a member of the staff. Similar to QSRs, car washes can use digital menu boards to provide customers with a menu of options as well as promotions on special services. Digital menu boards can also be used in arts, entertainment, and recreation as well as industrial settings such as construction and mining. Although digital menu boards are expected to increase in use, many applications continue to rely on static signage. In doing so, they encounter a variety of pain points. Changing Static Signage: As mentioned previously, for QSRs in particular, day-parting requires that static signage be changed to reflect the appropriate menu options for the time of day Typically, this would involve a QSR staff member manually changing the signage daily – thus, entailing additional time spent changing the signage and in some instances, requiring training for the staff member. Highlighting Promotional Items: To further drive sales, many applications rely on promotional items. Car washes advertise specials based on the day of week or season, QSRs highlight limited additions to the menu, and amusement parks may focus on a special group discount. This list goes on and on. In using a static menu board, the operators in these examples need to design and order new static signage for each promotion. With a static menu board, in particular, depending on how the menu board is set up, some operators may need to order completely new signage each time there is a promotion as opposed to just pieces of signage highlighting the promotion. Frequency and Costs: Static menu boards are typically back-lit plastic signage within a kiosk. Being located outside, static menu boards are susceptible to weather as well as dust, dirt, and any elements of the specific area. This results in wear and tear on the static signage, requiring the operator to update the signage frequently. 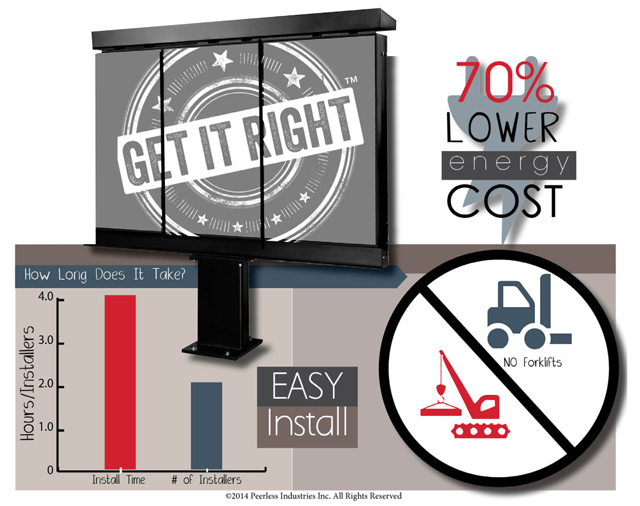 The high frequency of replacing static signage comes with a big price tag. Scalability: Many applications utilizing static menu boards, such as QSRs and retail, have locations across the globe. In these settings, consistency is key. The company has established a brand and wants a cohesive look in each location of its store or restaurant. Menu options may be different based on the location, but the look and feel of the stores or restaurants should be the same. With that in mind, changing signage on a global scale can be difficult when using static signage. Just pressing a button to change content instantly is not an option. As such, it can be challenging to effectively roll out global changes when static menu boards are in use. Inexperience: Digital menu boards utilize software programs to display the content on the screen. The software is typically installed on a computer within the location’s office, allowing the operator of the establishment to easily update the digital menu board’s content. The software may include pre-made templates and is standardly easy to use. However, with no prior experience, operators tend to be wary of using a system they are not accustomed to, especially one that can control all of the content for the drive-thru application. Expense: When making the decision to move to a digital menu board, companies strongly consider the expense involved. Companies worry about the operational costs as well as the return on investment (ROI). There will be costs associated with installation and maintenance, and oftentimes if something requires the use of electricity, it is automatically considered to be increasingly expensive. With this concern in mind, companies may be fearful of a digital menu board. 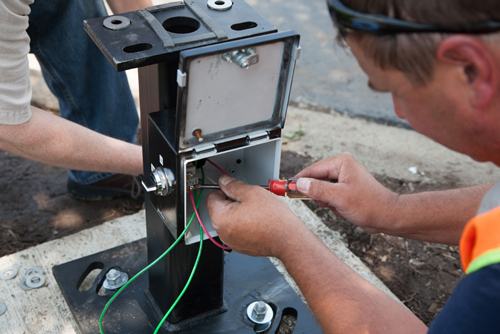 Installation: The installation process is another concern for companies. They wonder, how long will it take to install the digital menu board? Will it affect business operations? How difficult will the installation be? The answers to these questions can have a strong impact on a company’s decision in moving forward with a digital menu board solution. While there are a variety of considerations in place when making the move from static menu boards to digital menu boards, the benefits of digital menu boards usually outweigh any lingering concerns. Once the decision has been made to move forward with a digital menu board, there are a number of key characteristics that companies should consider when choosing the best solution for them. Easily updatable: One of the purposes of a digital menu board is to make updating content easier. As such, companies must choose a solution that is simple to use and allows them to change content quickly and efficiently. Easy to install: While many company operators are not handling the installation themselves, they should choose a digital menu board solution that can be installed without causing major disruptions to current operations. Weatherproof: Being placed outside 365 days a year, the best digital menu board solution is one that can withstand the elements. It needs to be operational in all temperatures without failing. It also needs to be enclosed in a kiosk that will retain its look for years to come. Companies should look for digital menu boards with an IP68 rating, making them waterproof and weatherproof. Functional: If multiple digital menu boards are employed and one of the boards is not working properly, it is necessary that the other boards not be affected. While the displays within all of the digital menu boards are connected, if one is not working, the company still needs the other boards to remain functional. Polarized: When it comes to outdoor digital menu boards, companies must consider the customer and the outside environment. If a customer pulls up to a digital menu board and he/she is wearing polarized sunglasses, there is a chance they will be unable to read the content on the board or the screen will be blacked out. With this in mind, companies need to consider digital menu boards with built-in polarization films. Optically Bonded: Being located outside, digital menu boards are always competing with the sun’s rays. Of course there is no real competition as nothing is brighter than the sun. Thus, it is important for digital menu boards to be optically bonded. The process involves a UV absorptive gel inserted between the display screen and the protective glass. The optic bonding reduces glare, makes the display stronger, and can also reduce costs associated with the display’s solar load. For companies looking for a digital menu board solution, Peerless-AV ® ’s Xtreme™ Outdoor Digital Menu Boards offer all of the above benefits and more. The systems are 35% cheaper than the competition and offer a 70% savings in energy consumption compared to other digital menu boards on the market. The average energy costs per month are $75.00. Peerless-AV ® Xtreme™ Outdoor Digital Menu Boards also offer customers the ability to customize their digital menu board with optional static toppers and sidekicks – an inexpensive way to increase advertising space. When all static graphics are used, Peerless-AV ® Xtreme™ Outdoor Digital Menu Boards offer a total of 44 square feet of advertising area an unheard of amount of ad space for this type of product in the industry. With the Peerless-AV ® Xtreme™ Outdoor Digital Menu Boards, companies are able to maximize their space and draw further attention to advertisements, resulting in increased sales. With an aluminum construction and stainless steel hardware, there is no concern for rusting with Peerless-AV ® Xtreme™ Outdoor Digital Menu Boards. Installing the digital menu boards is an easy two-man job without the need for forklifts or cranes. Plus, replacing monitors is easy, ensuring the displays in adjacent cabinets will not be disturbed. Peerless-AV ® Xtreme™ Outdoor Digital Menu Boards are offered in a one, two, three, or four monitor display configuration, and can be rearranged by changing the horizontal beam. Peerless-AV, a Peerless Industries, Inc. company, is a leading designer, manufacturer and distributor of audiovisual solutions. From its award-winning mounts and wireless audio systems to indoor/outdoor kiosks and the industry’s first fully sealed outdoor displays, Peerless-AV aims to Get it Right by fulfilling both integrators’ needs for ease of installation and service, and end-users’ dreams in residential and commercial applications. Based in Aurora, IL, Peerless-AV manufactures over 3,600 products that serve original equipment manufacturers, commercial integrators and consumer retailers in 22 vertical markets through direct sales representatives and authorized distribution. For more information, visit www.peerless-av.com.